low levels of radiation exposure. In our on-going effort dirtected at patient’s safety we use only digital x-rays, which reduces radiation exposure significantly compared to the traditional method. Every precaution is taken to ensure that radiation exposure is As Low As Reasonable Achievable (the ALARA principle). 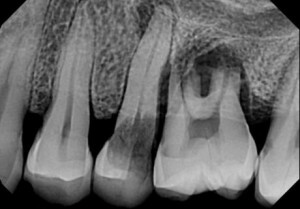 Another advantage of digital x-rays is the ability to magnify the images, giving us a much improved view of the area of concern. If you have questions or concerns about x-rays, Dr. Mancuso will gladly address them with you.